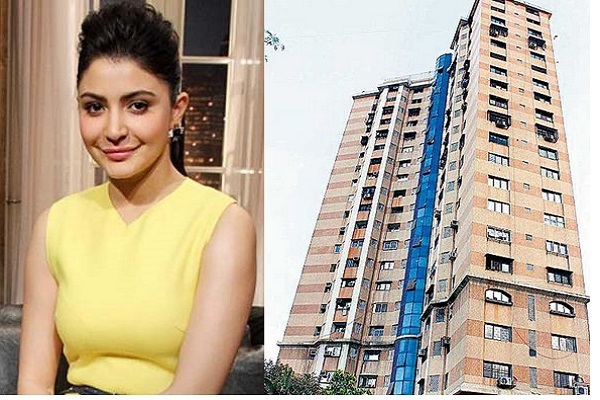 Now It’s the turn of Anushka Sharma to Prove Authenticity of Construction at her Home in Mumbai! In recent times, many celebrities have landed in troubles due to the BMC. Remember how Kapil Sharma’s issue was escalated? After him, it is Anushka Sharma who has been surrounded by a BMC controversy. Yes, the secretary of her building has complained to BMC against Anushka’s illegal construction. Reports by leading dailies say that the secretary of her building in Versova Sunil Batra, has complained against Anushka because she has installed an electric junction box on the floor passageway. Her spokesperson further adds that all the necessary permissions were taken while installing the electric junction box. As of now, Sunil Batra has asked the actress to remove this box.